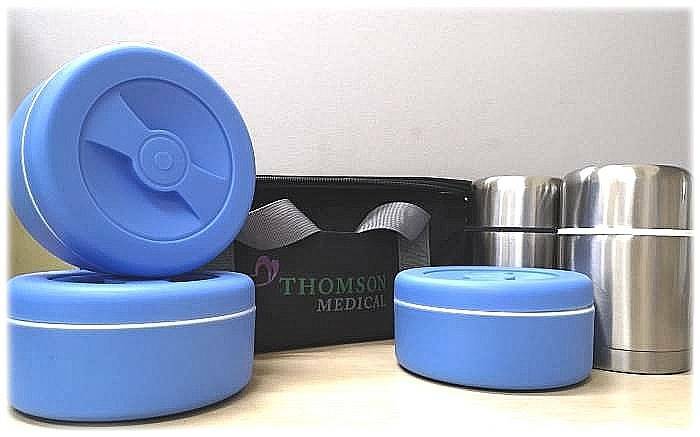 Thomson Confinement Food menu was designed by Thomson TCM Physicians and Nutritionists to aid mothers in their journey to recovery during their confinement. Infused with fresh, carefully selected ingredients and herbs, the menu serves up a modern blend of east meets west, whilst retaining rich traditional tastes of confinement favourites. From flavourful Fish and Papaya Soup, to timeless Braised Pig’s Trotters with Black Vinegar and Homemade Chicken Essence with Wine; our gastronomic spread is low in salt and fat - packing a robust flavour, bursting with natural goodness and great nutritional value. There are five items per meal. 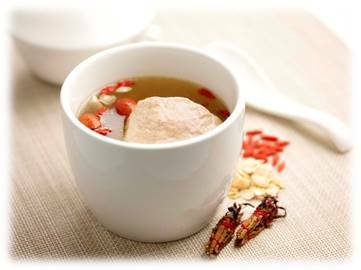 You will receive meat, vegetable, rice, double-boiled soup and red dates & longan tea (in 500 ml flasks). The food, contained in thermal containers and in a bag, will be delivered to you twice a day (lunch and dinner separately) so that it is warm when it reaches your doorstep - locking in the flavours, and at the same time, maintaining freshness. We will take care of the washing just so you and your family members could have more rest and more time to spend with your newborn! 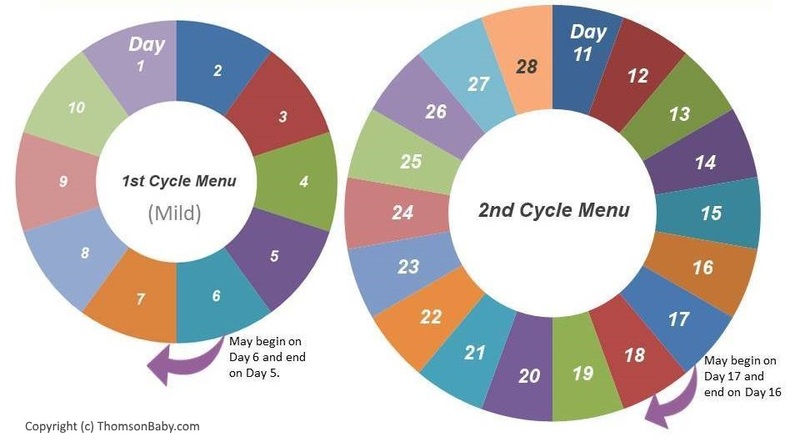 Our 28-Day Lunch and Dinner menu consists of two cycles: first 10 days and the subsequent 18 days. The food of first cycles are mild so as to help digestion. 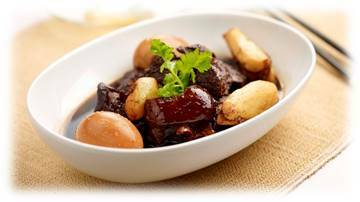 In the second cycle you will receive dishes such as Braised Pig's Trotters in Black Vinegar, Hong Zao Pork Ribs and Double Boiled Black Chicken Soup with D.O.M. Your first meal may not be Day-1 of the menu. It could be Day-6, followed by Day-7, 8, 9, 10 and back to Day-1 then continue to Day-5 to complete the first cycle. Likewise for your second cycle, you may not begin with Day-11 but could rotate from Day-11 to 28. Our menu rotation is illustrated below. Braised Pig's Trotters in Black Vinegar is our signature dish. It will be served on lunch on Day-15 and 27. Many of our customers order additional 10 servings which will be delivered as additional item in second cycle except on Sunday, Day-15 and 27. We understand some mommies do not eat pork and we make thing easy for you. You may opt for non-pork menu in which pork dishes will be replaced by either chicken or fish. In addition if you don't eat pork innards, we are happy to remove them from the dish as well. We decide to serve Kinmemai Japanese gourmet rice in all our packages so that all mothers will benefit from it. You may opt for Kinmemai Better Brown™ rice for added nutrition at no extra charge! Kinmemai Better Brown™ retains some of the rice grains’ most healthful components which are usually lost to traditional polishing. 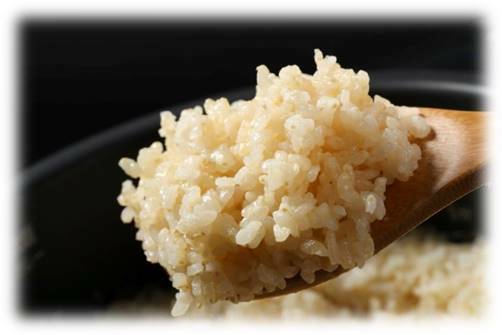 By retaining more of the rice grain, including the bran, it’s signiﬁcantly more nutritious than conventional white rice. We take hours to double-boil all our soups to ensure precious nutritions and the essence of the ingredients are well preserved.